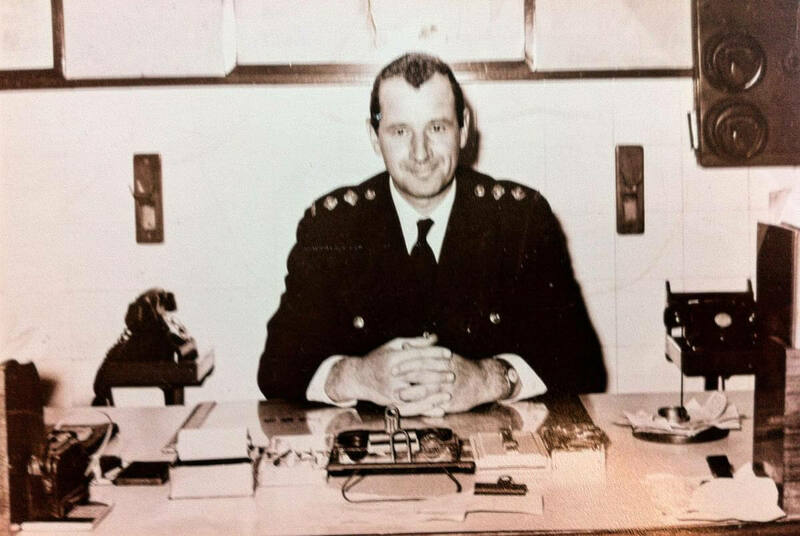 Alexander Booth MacDonald: I stayed between Kowloon Docks, Hung Hom & Tai Kok Tsui when I was a young boy say between 5 to 10 years of age. 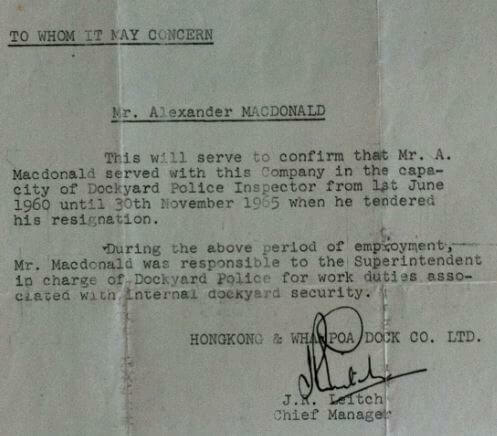 My now deceased father, Alexander Macdonald served with the Kowloon Dockyard as a Dockyard Police Inspector from 1960 to 1965 when he tendered his resignation. Alexander has kindly sent the following images. Hong Kong & Whampoa Dockyard – what happened to its famous Hammerhead Crane?